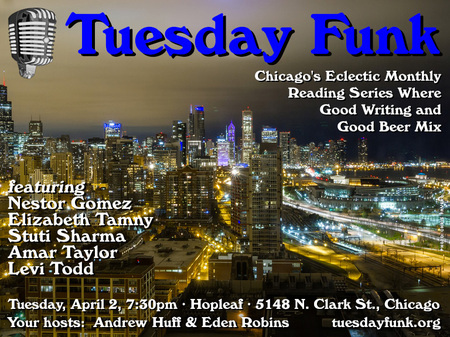 Don't miss our amazing line-up: Stuti Sharma, Elizabeth Tamny, Nestor Gomez, Levi Todd, and Amar Taylor! This page contains a single entry by Eden Robins published on April 2, 2019 11:28 AM. Meet Our Readers: Stuti Sharma was the previous entry in this blog. April 2019 Debrief is the next entry in this blog.